Posted: Apr 7, 2017. Updated: Apr 11, 2017. The C8 Series of Rotrex Superchargers. 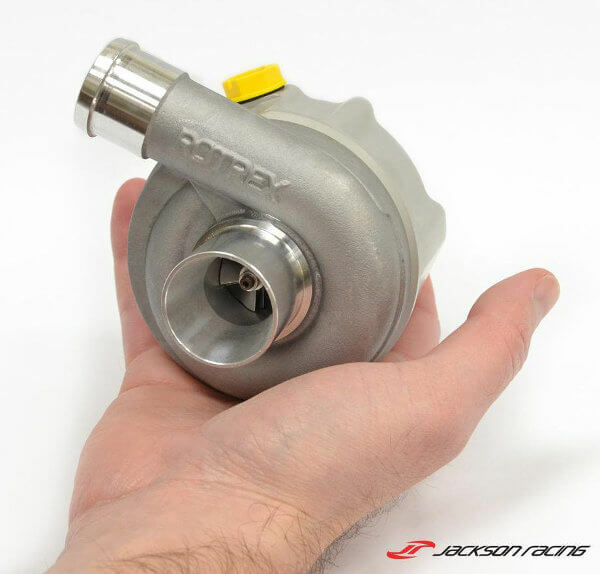 This ultra compact centrifugal supercharger is currently the smallest on the market. As shown by Jackson Racing. The C8-8 Rotrex Supercharger, like the C8-6, are currently the most compact centrifugal compressors on the market. The C8-8’s output is between 41 to 75hp. Applications include downsized engines, powersports, motorcycles and other equipment or vehicles with small engines. Their C series includes other models for larger applications.